Recent data breaches for both iPhone and Android OS's highlight the need for businesses to pay attention to mobile device data security. 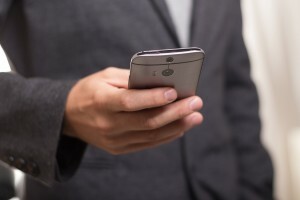 Whether or not you’re giving your employees cell phones to use for work (or have Bring Your Own Device (BYOD) policy), it’s likely that you have employees using their cell phones or tablets to access company information (like email and sensitive line-of-business applications). Submitted by: Wendy Brooks, Marketing Director at Palmetto Technology Group, an Outsourced IT Support company headquartered in Greenville, SC.